Alán Aspuru-Guzik is currently Professor of Chemistry at Harvard University, where he started his independent career in 2006 and was promoted to Full Professor in 2013. Alán received his B.Sc. from the National Autonomous University of Mexico (UNAM) in 1999. He obtained a PhD from the University of California, Berkeley in 2004, where he was also a postdoctoral scholar from 2005-2006. 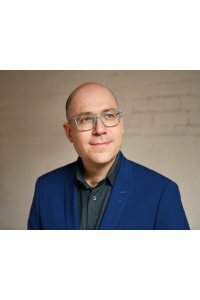 Amongst other recognitions, Aspuru-Guzik has been recipient of the DARPA Young Faculty Award, the Sloan Research Fellowship, and was selected as a Top Innovator under 35 by the MIT Technology Review. 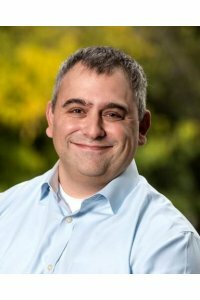 He is a fellow of the American Physical Society and, in 2013, he received the Early Career Award in Theoretical Chemistry from the American Chemical Society. 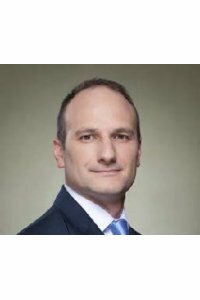 Aspuru-Guzik is a member of the World Economic Forum’s Global Future Council on Advanced Materials. Aspuru-Guzik carries our research at the interface of quantum information and chemistry.In particular, he pioneered the development of algorithms and experimental implementations of quantum computers and dedicated quantum simulators for chemical systems. He has studied the role of quantum coherence in excitonic energy transfer in photosynthetic complexes. 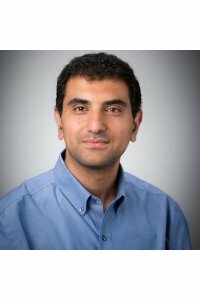 He has accelerated discovery by means of computation, machine learning and rapid experimental feedback for organic semiconductors, organic photovoltaics, organic batteries and organic light-emitting diodes. 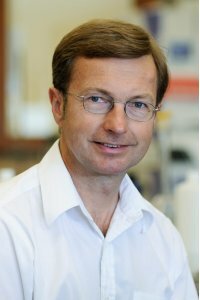 Yves Bréchet is a physicist, specialist of materials science, professor at the Grenoble Institute of Technology, and a member of the French Academy of Sciences. His activities span the fields of physical metallurgy, thermodynamics, microstructures, phase transformations, plasticity, fracture micromechanics, material selection, structural materials design, biointerfaces, structural biomimetics. Araceli Fernandez leads the industry technology analysis at the IEA on long-term scenarios with more than ten years’ experience in the Oil & Gas field. Araceli holds a MEng in Chemical Engineering and a MSc in Process Engineering. Before joining the IEA, she worked on process optimization and emissions monitoring at refinery sites for BP, as well as designing thermal equipment and steam reforming units for green - field refinery and petrochemical projects as EPC contractor.She focused more lately on defining energy efficiency upgrade and plant performance improvement strategies for refinery operators before joining the IEA. Research in the Hein lab is aimed at solving a diverse set of lingering problems in modern organic chemistry, with primary focus towards understanding mechanisms of catalyst induction and deactivation as well as developing techniques to resolve racemic mixtures using coupled preferential crystallization.To meet these challenges the Hein lab is developing next generation automated laboratory technology, designed to allow integrated in situ reaction analysis.This bottom-up approach has resulted in a plug and play platform capable of interfacing with machine learning optimization algorithms. Dr. R. Douglas Hooton is a professor and NSERC/Cement Association of Canada, Senior Industrial Research Chair in Concrete Durability and Sustainability in the Department of Civil Engineering at the University of Toronto where he has taught for more than 30 years.His research has focused on the fundamentals of durability performance of concrete as well as on performance tests and specifications for concrete.He has been actively involved with developing and calibrating tests for AAR, chloride ingress, sulfate attack, freeze / thaw and deicer salt scaling to long - term exposure site and field performance. 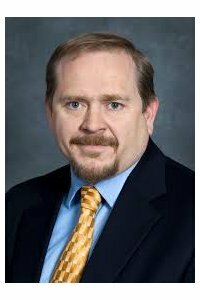 He serves on the Board of Directors of the American Concrete Institute(ACI); Chairs ACI committee C233 on Slag Cement, ACI C130A on Sustainability of Materials; and is in-coming Chair of ACI C201 on Durability. He also chairs the CSA A3000 committee on Hydraulic Cements and ASTM C01 on Hydraulic Cements. 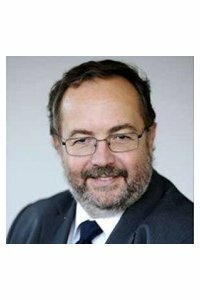 He is a fellow of: the Canadian Academy of Engineering, Engineering Institute of Canada, Institute of Concrete Technology(UK), RILEM, American Concrete Institute, American Ceramic Society, and ASTM. NRCan works to improve the quality of life of Canadians by ensuring that natural resources are developed sustainably, providing a source of prosperity, while preserving the environment and respecting Indigenous peoples’ rights. As Chief Scientist, Donna Kirkwood provides a leadership role to ensure that the department’s S&T works to solve the important challenges, such as the country’s transition to a low-carbon economy, the competitiveness of the natural resources sectors, adaptation to climate change, and the safety and security of communities and infrastructure. Donna advises the Deputy Minister on the role of government scientists and expertise in supporting policy development that achieves value for Canadians.She promotes and sustains a dialogue on S & T synergies between the various natural resource sectors and the broader science ecosystem in Canada. Donna has held several executive positions with NRCan for the last 10 years, serving as Deputy Chief Scientist from 2015 to 2017, Director General of the Geological Survey of Canada from 2010 to 2015 and as Director of the Geological Survey of Canada’s Québec Division from 2006 to 2009. 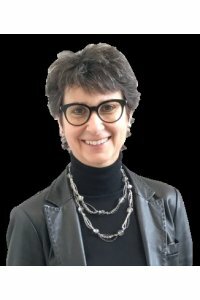 Prior to joining NRCan, she was a Faculty member with the Département de géologie et de génie géologique, Université Laval(Québec, Canada) for 12 years.She holds a Ph.D. in Earth Sciences from the Université Laval and two post - doctorate fellowships, Université Joseph Fourier(Grenoble, France) and the Institut national de la recherche scientifique(Québec, Canada). 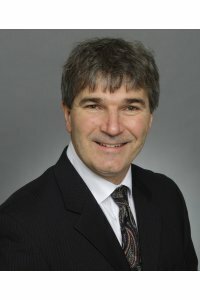 Dr. Mark S. Kozdras joined CanmetMATERIALS in 2010 to manage the Advanced Materials for Transportation Program in support of automotive lightweighting and other energy efficiency initiatives. He is a Mechanical Engineering graduate of the University of Waterloo, specializing in materials and manufacturing. He is a Professional Engineer in Ontario and has been a long-standing member of ASM International and the Society of Automotive Engineers (SAE). Dr. Kozdras came to CanmetMATERIALS with extensive experience in the automotive industry, where he held management positions in materials research and development, and process and product engineering at Dana Canada in Oakville, Ontario. His work on Dana’s proprietary brazing process for aluminum heat exchanger production involved key contributions to novel plating and brazing process technologies. In addition to managing the automotive materials program at CanmetMATERIALS, Dr. Kozdras has been directly involved in lightweight materials research and, more recently, in the development of catalytic materials. Dr. Kozdras had extensive interaction with industry, university and government research communities throughout his industrial career. At CanmetMATERIALS, he continued this engagement through involvement in the AUT021 National Centres of Excellence, NSERC Automotive Partnerships Canada, NSERC Strategic Partnership Selection Panel – Mfg B and the NSERC Strategic Network MagNET, the Automotive Innovation Fund, the Automotive Supplier Innovation Fund and others. He has had advisory roles within Natural Resources Canada and interdepartmentally with Industry, Environment, Transport and Global Affairs Canada. He holds a position on the Executive Committee of the International Energy Agency, Advanced Materials for Transportation and, more recently, became co - lead of Mission Innovation, Innovation Challenge 6: Clean Energy Materials. Matthias Militzer is the ArcelorMittal Dofasco Chair in Advanced Steel Processing and the Director of the Centre for Metallurgical Process Engineering at the University of British Columbia in Vancouver.He received a Diploma in Physics from the University of Technology in Dresden, Germany in 1983 and a Ph.D. in Metal Physics from the Academy of Sciences in East Germany in 1987.He moved to Canada in 1990 where he was first a Postdoctoral Fellow at McGill University before joining the University of British Columbia in 1993.He has published more than 200 papers in refereed journals and conference proceedings.His primary field of research is modelling the microstructure evolution during thermo - mechanical processing of steels and other metals.Currently, his major research activities include multi - scale modelling of phase transformations in steels, accelerated cooling of steels and in-situ measurements of microstructures using laser ultrasonics for metallurgy.He is a Fellow of the Canadian Institute for Mining, Metallurgy and Petroleum(CIM) and received the ASM Henry Marion Howe Medal 2010 and the Canadian Metal Physics Award in 2014. 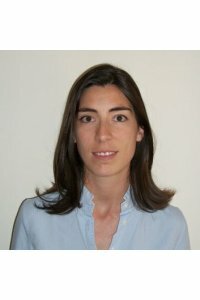 Manuela Ojan is an engineer with twenty years’ experience in the environmental and energy field. Since mid-2016 she is in charge of Public Affairs in the Global Environmental Sustainability department at Heidelbergcement. Previously she held for ten years the position of Energy and Climate manager within the Sustainable Development department at Italcementi group. She had the responsibility of ensuring compliance with the European emission trading directive as well as any other carbon market mechanism, carbon MRV activities, and the scouting and development of carbon offsetting projects, including in renewable energies. She is in charge of advocacy activities in the climate protection field and sustainable construction. She represents the company externally in various fora, including the WBCSD (World Business Council for Sustainable Development) – Cement Sustainability Initiative, and other relevant business associations and international organisations. In the scope of CSI activities, she is leading the development and review of Technology Roadmaps and various engagements with World Bank and EBRD. Her experience is grounded in hands-on experience in environmental M&A auditing in many countries as well as consultant and lead auditor in ISO14001 and ISO50001. Kristin Persson uses atomistic and first-principles computational methods coupled with high-performance computing technology and statistical learning methods to design and improve materials for clean energy production and storage applications. 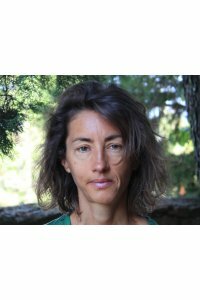 She directs the Materials Project (www.materialsproject.org), which is a multi-institution, multi-national effort to compute the properties of all inorganic materials and provide the data and associated analysis algorithms for every material researcher free of charge. In addition to Science Gateways Community Institute (SGCI) Steering Committee, Professor Persson serves on the U.S. National Academy’s Condensed Matter and Materials Research Committee (CMMRC); she is the TMS Materials Genome Initiative Ambassador and recipient of the 2017 TMS Early Career Fellow Award. 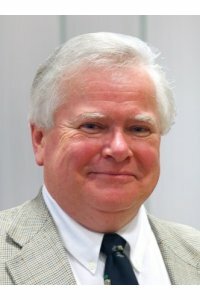 Furthermore, Professor Persson has published more than 100 peer-review papers, is the co-founder of Pellion Technologies Inc. and holds several patents in the novel materials for energy storage space. Persson did her academic training at Lund Institute of Technology (Lund, Sweden), the Royal Institute of Technology (Stockholm, Sweden) and the Massachusetts Institute of Technology (Boston, U.S.A.). Dr. Skinner is Strategic Partnerships Lead at the NERSC (National Energy Research Scientific Computing) HPC facility in Berkeley CA. 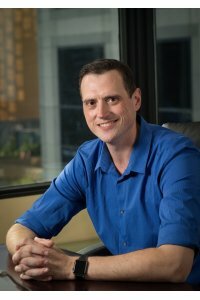 His work focuses on innovating how science teams access HPC for collaborative science. Areas of specialization include HPC planning, scalable HPC services (automation, REST APIs, and data-driven workflows) and 18 years of varied experience making HPC codes run fast. David was the lead technical advisor to first two rounds of DOE’s INCITE projects, led the SciDAC Outreach Center, and is an author of the Integrated Performance Monitoring (IPM) framework. Current projects include HPC4Manufacturing, the Exascale Computing Project (ECP, ExaFEL) and HPC data analytics for experimental science. Christopher M. Spadaccini, Ph.D., is currently the Director of the Additive Manufacturing Initiative at the Lawrence Livermore National Laboratory (LLNL) as well as the leader of the Center for Engineered Materials and Manufacturing.He has been working in advanced additive manufacturing process development and architected materials for the last decade and has over 35 journal publications, three book chapters, and several dozen patents awarded and pending.Dr.Spadaccini founded several new fabrication laboratories at LLNL for process development focused on micro and nano - scale features and mixed material printing.He received his B.S., M.S., and Ph.D.degrees from the Department of Aeronautics and Astronautics at the Massachusetts Institute of Technology(MIT) in 1997, 1999, and 2004 respectively and has been a member of the LLNL technical staff for over 14 years.He has also been a lecturer in the Chemical, Materials, and Biomedical Engineering Department at the San Jose State University where he taught graduate courses in heat, mass, and momentum transfer. Dr. Hermann Tribukait is an economist and energy specialist with 20 years of experience in consulting, economic research, and investment banking. He is the Ambassador to the U.S. and Canada of Mexico’s Energy R&D Innovation Funds. His responsibilities include developing energy innovation and technology projects between Mexican institutions and the leading institutions in North America and other regions. He is collaborating with and leading projects for the Clean Energy Ministerial (CEM) and Mission Innovation (MI), including the MI Clean Energy Materials Innovation Challenge that has the goal to accelerate the discovery of new materials for clean energy by 10 times. Dr. Tribukait has provided consulting and advisory services for Fortune 500 companies and multinational corporations in various industries, including energy, natural resources, financial services, and technology. He earned a BA in Economics from ITAM (Mexico) with highest honours, and a Masters and Ph.D. in Economics from Harvard University. He is fluent in Spanish, English and German and is based in Silicon Valley. Dr. Zurob obtained his PhD from McMaster University in 2003. He held post doctoral fellowships at the Grenoble institute and Technology and Oxford University prior to joining McMaster in 2005. Dr. Zurob is presently serving as Chair of the Department of Materials Science and Engineering. The aim of Dr. Zurob’s research is to understand and control microstructure development in engineering materials with the goal of optimizing mechanical properties. The applicant has made significant contributions to the areas of thermomechanical processing, recrystallization modelling, functionally-graded materials, austenite decomposition and structure property relationships. Dr. Zurob is recipient of several prestigious awards including Sawamura Award and Guimaraise Award of ISIJ and the Best Young Researcher Award of Internationally Recrystallization and Grain Growth Conference. In addition, Dr. Zurob is a dedicated educator who was recognized by several teaching awards at McMaster. Dr. Zurob is also an active participant in professional societies including ASM, TMS and ASM Materials Camps Canada.